Raspberry red sparkle shoes, with stiletto heels and peep toes. 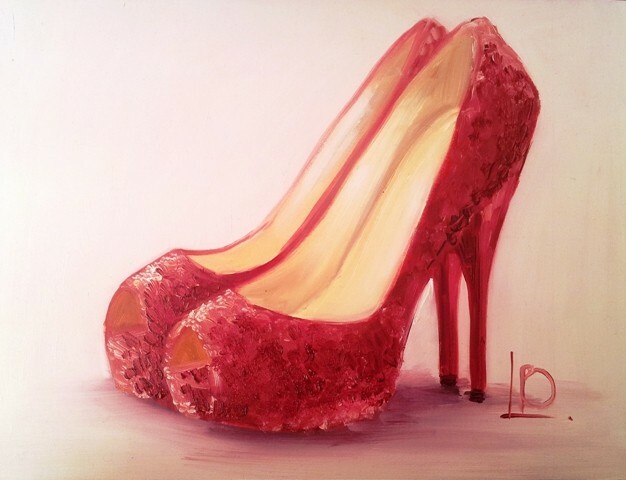 This small oil painting is a cheery homage to my famous love of shoes. It's perfect for a dressing room- and can be framed, or left as it is and displayed on a shelf or mantelpiece.